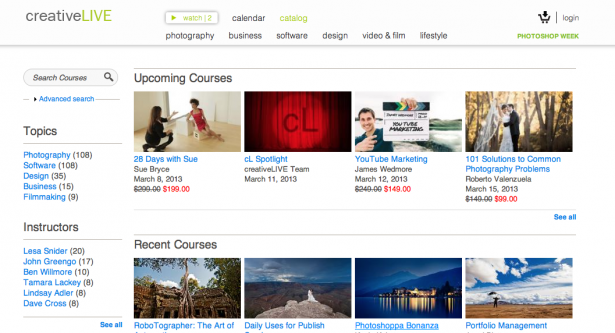 There are tons of great resources out there for learning film and photography. Over the last couple years I’ve come to really appreciate these 5. Think I’m missing a site from this list? Share your favorite tutorials sites! Started by Chase Jarvis, creativelive.com is a great place to learn about filmmaking and a host of other topics such as photography, post processing and more. You can watch the courses for free live and/or purchase the courses for more viewing. I love Lynda.com… I started using them several years ago while I was learning Final Cut Pro. They have hundreds of topics and tutorials for virtually every software and skill related to media. 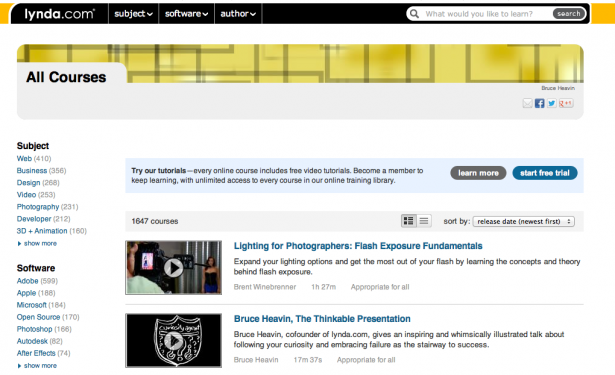 You can try Lynda for free for a week and and/or signup for a subscription. This is great if you have some time to commit to learning something. I’ve been watching Jem Schofield’s The C47 since he started it in 2009. Jem is a brilliant educator and I really enjoy his daily (yeah you read right… DAILY) show. On The C47 Jem covers lighting, gear, film news, post production and more. 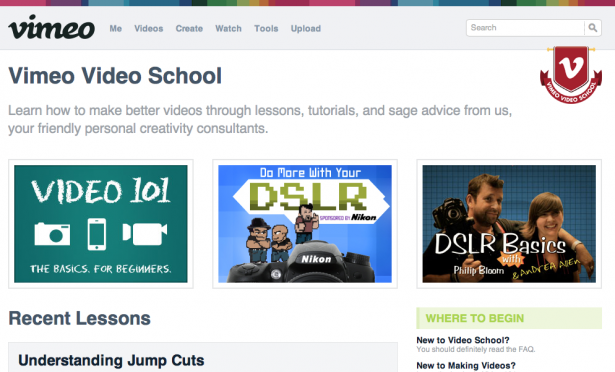 Vimeo has put together a section on their site called the Vimeo Video School where they have created and curated content for filmmakers. There is a ton of great stuff here. 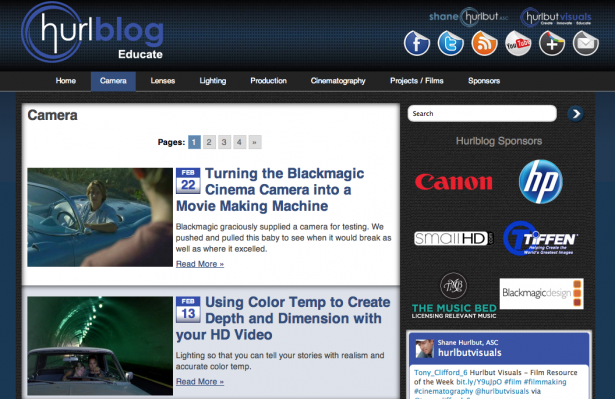 The Hurlbut Visuals Blog is a fantastic film tutorial blog by Cinematographer Shane Hurlbut. 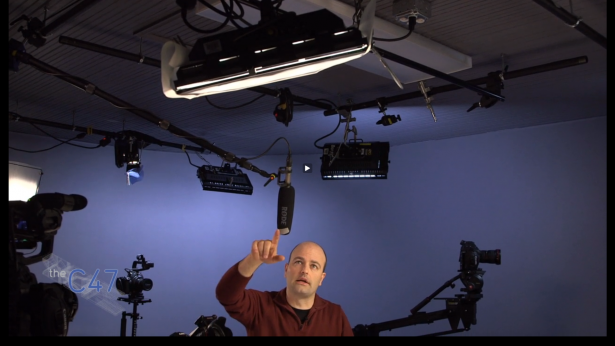 On his blog, Shane shares info on lenses, cinematography, post workflow, DSLR filmmaking and much more. What websites to you think belong on the list? Share your top 5! What!!!???? Final Cut 8 was released years ago???? Why did nobody tell me?????!!!!! haha but this site is helpful though. I also like P. Bloom’s website and the Stillmotion website which has a lot of useful tutorials for wedding shooters and more. Nice list. Thanks for sharing. If you’re looking for podcasts, try Need Creative. Great weekly interviews, news and gear talk. Little off topic maybe; video copilot. Still, awesome tutorials. Caleb, this is great to roundup these resources, things can get lost in the shuffle as you know. http://www.bigleaguefilmschool.com <— Interviews with awesome cinematographers.